Radio amateurs are often motivated to have off grid power capabilities as part of preparing for short term emergencies and long term SHTF scenarios. But what about protecting your radio equipment and off grid systems? Your stuff can’t help you in a disaster if it’s the victim of a disaster itself. EMP, or electromagnetic pulse, is one of the most dangerous hazards to your radio & off grid gear, yet it’s seldom taken seriously. What is an EMP, why should you care, and what to do about them? In the simplest terms, an EMP is a short burst of electrical or magnetic energy. It can propagate through the air and does not necessarily need wire or any particular type of conductor to get from one place to another. The radio frequency of an EMP can vary depending on the source of the energy. EMP’s can occur literally anywhere in the spectrum from “DC to daylight”. Where EMP’s come from & why they can be dangerous. There are electromagnetic pulses all around us. Every time you turn on an electric motor, flip a light switch, or use almost any electrical device, an EMP of some kind is generated. The spark plug in your lawnmower generates an EMP; so does he static “crack” you sometimes experience when touching a metal object. Very powerful electromagnetic pulses can also come from lightning, the Sun, and nuclear explosions. An electromagnetic pulse is very, very brief, on the order of nanoseconds (0.000000001). That doesn’t sound like a lot of time, and it isn’t, but it’s long enough to overload and permanently damage electrical circuits. The three “biggies” off grid hams need to be concerned with is EMP created by lightning, the Sun, and nuclear weapons. There is no meaningful danger from electromagnetic pulses emitted by common items, such as electric motors. How an EMP damages electronics is very simple: The pulse of electrical or magnetic energy enters your equipment either through the air or through connected wires, which act like antennas. The energy overwhelms semiconductors, microprocessors, and other sensitive electronics, effectively burning them out and leaving you with a box of junk. Except for a direct lighting strike, there will be no visible damage. Your stuff just drops dead, or works erratically. EMP’s are not inherently hazardous to humans, plants, or animals, but individuals with cardiac pacemakers or who depend on medical technology (oxygen generators, renal dialysis, CPAP machines, etc.) are vulnerable. Electromagnetic pulses are a great unknown. If you take a casual browse around the internet, you’ll find that EMP is a very popular topic on survival & prepping forums, yet they are barely mentioned in the amateur radio world. Unfortunately, most of what is out there is speculation and guessing by “internet experts”. The truth is, there are very few real-world examples of what an electromagnetic pulse will do, and of the examples we have to draw from, none are recent enough to include computers, cellphones, the internet, or any modern technology. The most often cited incident is the Carrington Event, which was a solar storm that emitted an enormous amount of energy that ultimately reached Earth. Technically, it was a coronal mass ejection (CME) that produced an EMP, and not an EMP itself. Carrington is not a particularly good case study because it happened in 1859 before there were modern electronics and power grids. What did exist at the time, telegraphs, were heavily damaged worldwide. Most experts agree that if the Carrington Event were to happen today, and this is not an exaggeration, it would very likely be an apocalyptic, civilization-altering SHTF incident. More recently, the US government conducted a nuclear bomb experiment called Starfish Prime in 1962. While not intended specifically as an EMP test, it did produce some telling side effects. The resulting EMP fouled up scientific instruments used to monitor the test and caused major malfunctions in street lights and the telephone network in Hawaii, almost 900 miles away from the explosion point. 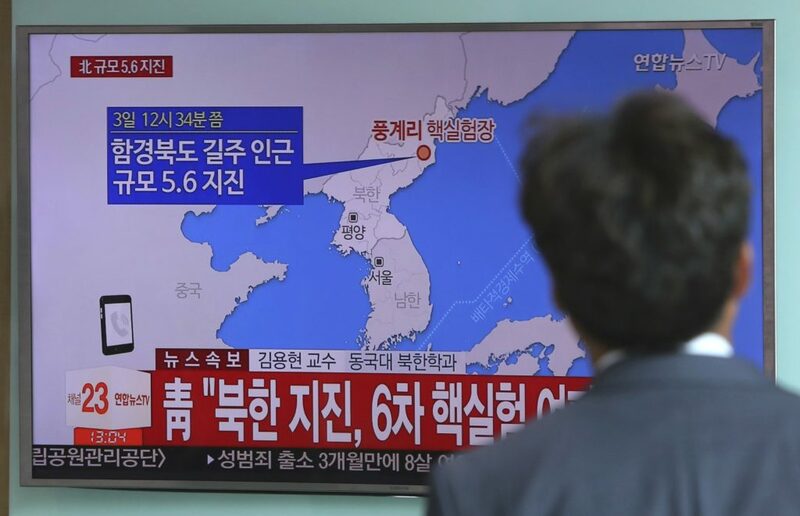 As radical Islamic terrorism and rogue nations such as North Korea continue to command headlines, attention to EMP hazards have been elevated. These concerns are legitimate: Some of the world’s nutjobs already have nuclear capabilities. That their capabilities are not well developed should not bring comfort to anyone. A poorly made nuclear weapon can still generate a devastating EMP even if it is not successful as a bomb. The bottom line is that no one knows for sure what exactly will happen in an EMP event, other than it will probably be real, real bad. How off grid hams can protect themselves from an EMP. As for what you can do to protect your electronics from electromagnetic pulses, there is good news and bad news. The good news is that it’s fairly easy and inexpensive. The bad news is that you will not know if your homebrew measures are effective until and unless you experience an actual EMP event, and if your protection is insufficient, there is no do-over. Without testing your EMP shielding in a lab, it’s just guessing and hoping you got it right. A complete metal enclosure that fully encases the equipment. Very important: No exposed cracks or points of entry. Aluminum HVAC tape, available at any hardware store, is perfect for sealing any holes. Also very important: The protected equipment should be fully insulated from other items and the outer metal enclosure. Again, don’t overthink it. It’s as easy as packing your gear in cardboard boxes, then placing the boxes in the metal enclosure. Plastic storage bins are good too. There is no need to ground your Faraday cage. In some situations, a ground wire can act as antenna and introduce more electromagnetic energy than would otherwise be present. A common method is to use a galvanized metal garbage can with a matching lid. Be sure to run some aluminum HVAC tape around the lid to make a good seal. Another cheap but less effective EMP shield is to place your electronics in a box, then wrap the box with a few layers of aluminum foil. I’ve seen Faraday cages made from old microwave ovens, refrigerators, file cabinets…there’s a lot of imagination on YouTube. Again, it’s important to point out that none of these ideas are tested and proven and some are demonstrably ineffective. All EMP solutions, including commercially made Faraday cages, will never be 100%. For example, a well sealed galvanized trash can will provide about 50 dB of attenuation. By comparison, the U.S. military requires a minimum of 80 dB, which is 1000 times more attenuation than 50 dB. Unless you’re using known, tested techniques and materials, EMP protection is just glorified gambling. Put forth your best effort and hope that it’s enough, but understand that there are no guarantees. About using microwave ovens: It’s been floating around for years that a microwave oven is the perfect Faraday cage. They do provide an amazing level of shielding, but only at microwave frequencies! For everything else, they’re just another metal box. Don’t get suckered by the legend that you can stuff your stuff in a microwave oven and call it good. Electromagnetic pulse and off grid power. The off grid radio amateur has extra challenges. In addition to the usual radio equipment, all the things needed for off grid power need EMP protection too. At the very minimum, you’ll want to have a charge controller in your Faraday cage, and maybe an inverter too. Solar panels themselves are generally regarded as immune from all but the most severe EMP’s, but if you have panels with an integrated micro inverter, then you’re accepting a big vulnerability since there is no practical way to protect all of them. As added insurance it would be wise to stock a large conventional panel or two (without the micro inverter) as they do not need protection. It’s understandable that not too many people can afford to buy extra equipment for the sole purpose of storing it “just in case”. Keep in mind that it’s a good idea to have two of everything, so if you do have spares, then protect them from EMP. One option for those who do not have the means to own redundant equipment is to set up your working gear such that it can be quickly broken down and stored in a Faraday cage. If world events deteriorate or conditions on the Sun foretell an CME, then you can store your equipment in the cage until the danger passes. This of course is not an ideal plan, but since the factors that can incite electromagnetic pulses are (sort of) predictable, you will hopefully have some lead time to take action. Another low budget possibility is to keep some older tube equipment around. Vacuum tubes have a built-in resistance to EMP (but are not “EMP proof”) and are far less likely to fail under EMP conditions. Tube equipment is also easier to repair if it breaks. Make sure you keep a spare set (or two) of tubes in a protected environment. The goal is not to be perfect, it’s to do as much as you can to give yourself a fighting chance. The peril of electromagnetic pulses (EMP) are not delusional rants from way-out-there conspiracy theorists and doomsday survivalists. The threat is real, and the consequences are real, but there is a lot the average radio amateur can do to improve their odds of getting through it in one piece. Even with their unproven efficacy, homebrew solutions are much better than nothing and relatively easy & inexpensive to employ. Lights On by Jefferey Yago is an excellent reference for off grid power. While this book is not specifically about EMP, he does include a chapter that addresses the issue. By the way, Yago is no wannabe “internet expert”. He’s a real engineer with decades of professional experience in off grid power systems. Highly reccomended. This lengthy report from The Center for the Study of the Presidency and Congress (CSPC) was co-authored by former Homeland Security Secretary Tom Ridge. It gives a good overview of the state of the US electrical grid and the threats to the national power system. This U.S. Senate report covers a lot of the same ground as the CSPC research. Although the paper is not exactly unbiased & nonpartisan, it is nonetheless an insightful look at power grid vulnerabilities, including EMP threats. Excellent introduction to/summary of important information, Chris. Thanks! Too often a topic that gets pushed to the back of the shelf/mind. I like the ‘well sealed’ garbage can storage idea, with basic items like a ‘small’ inverter generator, hf/vhf-uhf and sw backup radios, scanner(s) and handheld(s)- flashlights, spare batteries/chargers and ancillary gear… maybe go in on the effort w/ a neighbor or two-three to reduce per household costs, etc. to maintains some communications capabilities in the emergency scenario. Lots of personal decisions to be made, highly dependent on knowledge levels of those involved, funds… KISS applies. Test everything on ‘field-day’ once or twice a year, etc. As you indicated, likely some advance warning for EMP, but probably just as likely- no warning. Kinda like storing food/water… how much is enough? Typical SHTF decision theory/planning exercises. Thanks again for this thoughtful/timely post! Happy Thanksgiving to you and yours! Nice article! You managed to hit all of the important points in just a few paragraphs. Regarding testing a faraday cage: You could do a minimal test with a battery operated AM/FM radio. Tune it to a strong local station, put it in the box, and if the signal disappears when the box is closed, it works. But ONLY at the frequency the radio is tuned to. But at least that might give some indication of whether or not it is actually blocking some of the EM spectrum. One more thing: No one mentioned what could possibly be the scariest issue with an EMP, and that’s fire. From the few first hand accounts I’ve read of the Carrington Event, there were reports of electrical arcs along wires, sparks, heating of wires, even telegraph equipment starting on fire. That scares me more than the EMP itself, especially since our firefighting equipment would be knocked out by the EMP. Hello again Randall, the “radio trick” is a well known rough method of testing a Faraday cage. Some people also use cellphones. The problem is that a radio signal, even a strong one, is not representative of the energy in an EMP. Therefore, being able to block an ordinary radio signal does not suggest that your Faraday cage “works”. The risk of fire is real. However, electrical wiring codes and flame resistant materials are a lot better than they were in 1859, so we have at least that working in out favor. Thanks again for your ongoing support. Have a great Thanksgiving. Similar events have occurred at much lower CME intensities in the modern era with catastrophic results on national electric grids. The induced heavy currents saturate transmission transformers (those > 200 MVA) causing them to cook and triggering network-wide instability. Other demonstrated effects include hastening corrosion on oil, water & gas pipelines, annoying homing pigeons and killing satellites (by deep dielectric charging within satellites on the affected side of Earth). Best we keep some HF broadcast capability in national infrastructure, eh? In my testing with a spectrum analyzer and signal source at different frequencies, I found no increase in attenuation with multiple layers of aluminum foil unless the layers were separated. 100% aluminum foil coverage of a cardboard box, with several inches of seam overlap, and each seam sealed with aluminum tape provides substantial protection, except from strong lower-frequency magnetic fields that may be generated from an EMP interacting with a transformer or motor close to the box. Attenuation with a single layer can run at least 50 dB with informal testing methods, and depending on frequency and other variables. I found no additional attenuation unless the second foil layer was separated by at least a thin layer of non-conductor at RF frequencies, and preferably a foil-covered box within a foil covered box, which provided 80 dB at the frequencies I tested. A steel can, such as a Behren’s 10 gallon locking-lid can, is permeable metal, and should offer more protection from a strong magnetic field component than aluminum foil if it is completely sealed, including aluminum tape around the lid. Charles, thanks for your input. If you have documented your tests on line anywhere, please send a link because I’d be interested in reading the details. As for your aluminum foil insulated layer theory, maybe wrap a box in alternating layers of foil and plastic food wrap?